Low-cost and Reliable Gas Detector from Sensor Electronics Provides Protection Worldwide! Sensor Electronics, Minneapolis, MN, has recently released a gas detector designed to sense 100 different toxic/flammable gases. The newest gas to be detected – tetrahydrofuran – joins the 99 others, including a wide range of exotic hydrocarbons and fluorocarbons, plus the usual suspects – H2O, diesel and gasoline fumes, CO, EtO and CO2 (surprisingly hard to measure under temperature/pressure extremes). 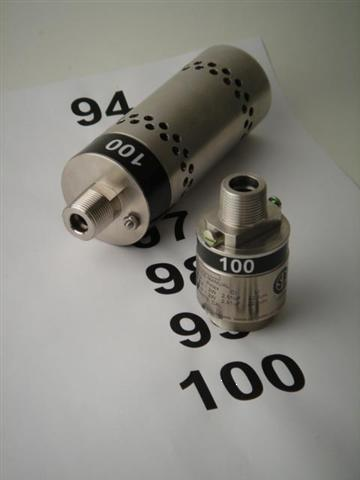 These gas detectors are used in a wide range of petrochemical and semiconductor applications, pipelines, medical equipment manufacture, sterilization chambers, as well as more mundane uses as in shopping centers, railroad roundhouses, parking ramps, garbage dumps, highway tunnels and dry cleaners. The detectors are entirely self-contained, with sensing elements custom-engineered for each specific gas. This new tetrahydrofuran detector will join its close to a half-million brothers in applications all over the world – from Seoul to Stockholm. Attu to Atlanta, the Arctic circle to Patagonia. More information about this new gas detector plus its 99 brothers; Sensor Electronics, 5500 Lincoln Drive, Minneapolis, Minnesota 55436; 800.285.3651.